This is an APRS iGate using the Raspberry-Pi. An APRS iGate is an Internet gateway that sends packets from the radio/RF side to the APRS-IS on the Internet (and vice-versa). The APRS-IS is an Internet based network that connects APRS networks from all around the world and facilitates APRS applications (Realtime Postion reporting of objects overlaid over Google maps. 1. 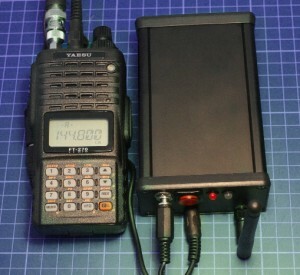 Handheld 2-metreband Transceiver (any 2m transceiver will do). There are various versions of IAPRS software available on the internet to do this task, here are a few links.